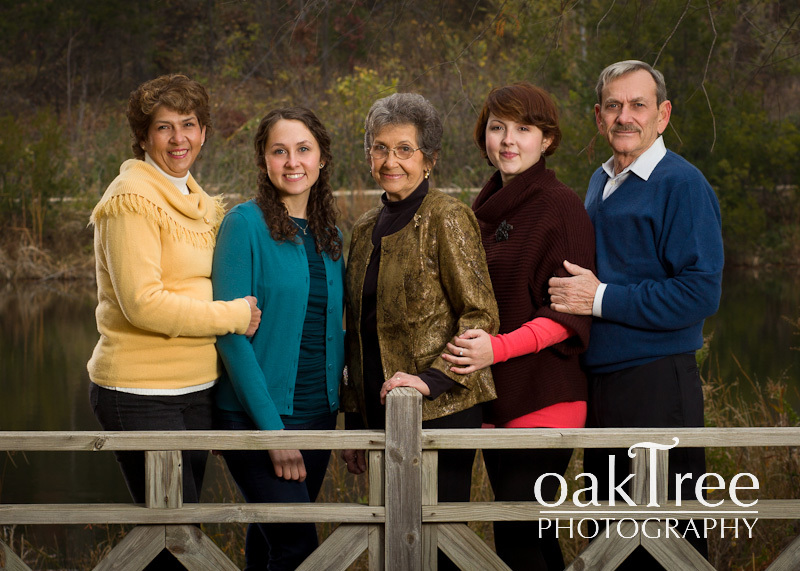 On a cloudy, late fall day, the Aston family met me at Stuart Park in Tulsa, Oklahoma. It was a chilly day for family portraits, but the daughter, Monica, who had organized the whole day for the family, was prepared for everything. She had a massive thermos of hot chocolate, extra wraps for family members when they weren’t in front of the camera, and even those high tech hand warmers, you know, the kind that activate when you shake them. So, with the family well equipped with a variety of warming strategies, they were cheerful and willing. And with me well equipped with my flash strobes to bring a sparkle of light to a drab cloudy day, we took portraits that made everyone look super.